Download Peter R. Masciola’s bio. 6/29/2017 – Partner Peter Masciola receives 2017 Attorney of the Year Good Scout Award from the Boy Scouts of America. Mr. Masciola brings unique experience and perspective to his clients that set him apart from other trial lawyers. As an active duty JAG officer, he had years of experience working as in-house counsel at two major Air Force Medical Centers; he has represented numerous physicians and practitioners facing adverse credentials and licensing actions; he also served as the principal JAG officer overseeing the investigation, adjudication and disposition of all Air Force medical malpractice claims and lawsuits nationwide involving billions of dollars in claimed damages. This extensive experience on the inside of military hospitals and medical malpractice cases provides him the expertise needed to obtain the best possible result for you and your family members. Peter R. Masciola has 30 years of experience as a lawyer in the private and public sectors. He has successfully represented military officers and enlisted personnel from all ranks and specialties, whose families have been the victims of major personal injury or medical malpractice, including military JAG officers and medical officers, military family members, and retirees from bases across the country and around the world. His clients have obtained multimillion dollar recoveries for their injuries and other losses caused by negligent military health care providers and other personnel from all branches of service. 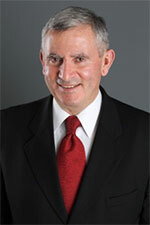 Mr. Masciola has held numerous leadership positions in Civilian and Military Bar Associations and was the DC Trial Lawyers Association’s 2009 Trial Lawyer of the Year. He is a Retired Brigadier General and served the nation on active duty in the USAF and as a part-time JAG in the Air National Guard – USAF Reserve. Mr. Masciola served a year tour in Afghanistan where he was in charge of US Law of Armed Conflict legal operations and US support of Afghan terrorist criminal trials at the Detention Facility in Parwan. Mr. Masciola also served a 17-month active duty tour as the Chief Defense Counsel, Guantanamo Bay Military Commissions. He is a former USAF Medical Law Consultant and Branch Chief of the Air Force Medical Law Claims and Tort Litigation. Mr. Masciola is dedicated to providing you and your family experienced, high quality, professional representation for your military medical malpractice, Federal Tort Claims Act (FTCA), Military Claims Act (MCA), military accident, or serious personal injury case. He has represented military officers and enlisted personnel from all ranks and specialties, whose families have been the victim of serious personal injury or medical malpractice, including military JAG officers and medical officers, military family members, and retirees from bases across the country and throughout the world. He is an accomplished criminal and civil litigator who gets winning results for his clients. 30 years of distinguished military service in both the Regular and Reserve Air Force, holding progressively senior leadership positions as prosecutor, defense counsel, supervisory attorney, and senior general counsel for operations, policy, legislative issues, national security, and homeland air defense.